So I wanted to love this diaper. Its feels really nice! But you def gotta prep it fully before using. I had a couple leaks. I also wasn't able to get away without using the booster that's included. It is very well made however and dries quickly in the dryer at low tumble. My baby is chunky so didn't fit very well. But I do recommend this to parents with thinner bbs. 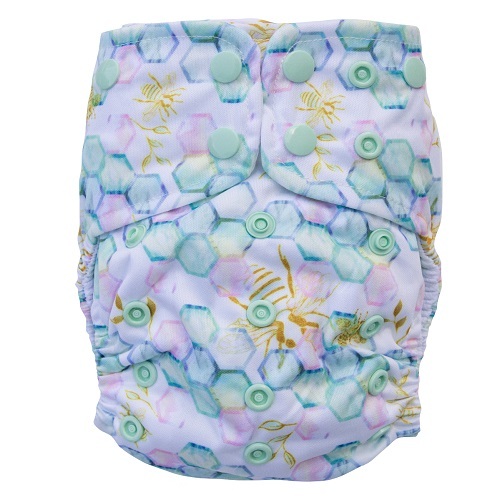 I wanted to REALLY love this diaper because I adore their company and their prints. If I were to buy another Id buy their new bigger size option. They are super trim and quite smaller than even my smaller diapers. But we are on the biggest setting at 18months. I've washed probably 5 times now and the diaper doesnt quite last 2 hours before its peed through. So I will probably start adding a geffen hemp insert to help with that. I DO love the elastics (they seem like they will hold up for a long time and are thicker than some of my other brands) and overall fit. 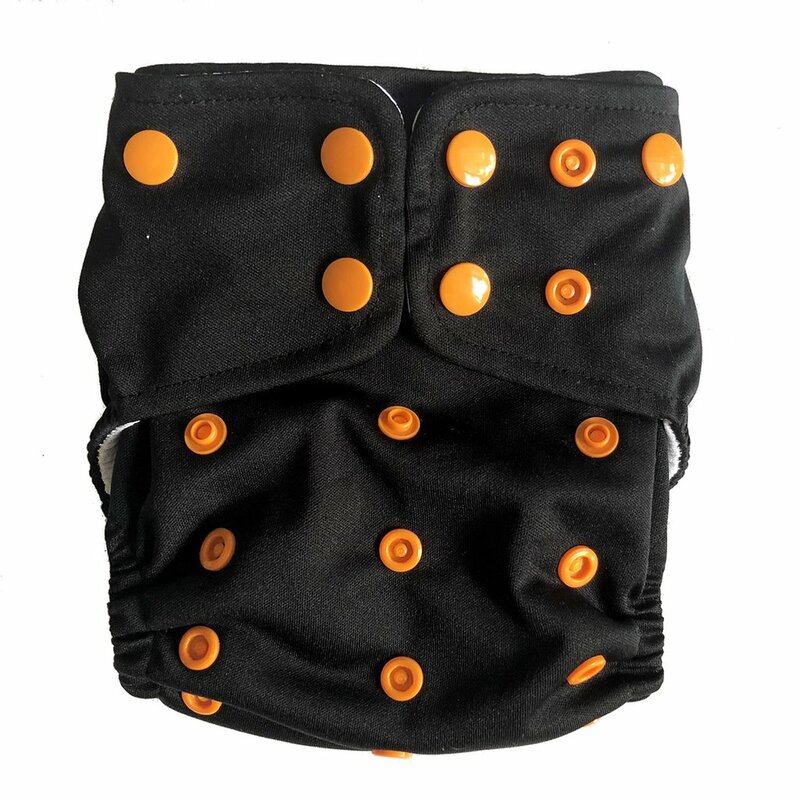 I just wish the absorbency was there and they were a little bit bigger -but itd be perfect for newborn size and early on with much pooping. Just ordered a couple of different AIOs to try on our two month, ten pound baby. These LKC are the smallest fit so we've been pleased. Easy to snap and they don't take too long on low heat in the dryer like other AIOs can. They make super cute prints too! The prints are the best. The cut however, is small. They also leave red marks on my baby because while the elastic is stretchy, it's really tight in order for them to fit properly. They are trim but the fold style tongue bunches up at the front. Not for us. 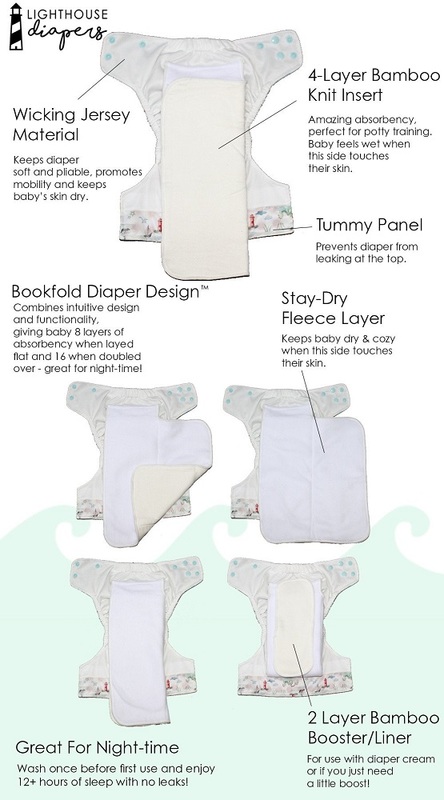 I purchased this diaper to test it for a possible day care alternative, as we usually use flats and covers.this brand is pretty hyped at the moment, which I honestly don't get. Yes, it's super trim. Yes, cute prints. But that's about it for us. The absorbency would never ever last 12 hours or over night for us, even with the booster added. I wish the insert had a snap in option, because even with the book fold type, it gets tangled up easily during washing. The book fold is also not really easier or faster than a regular tongue style to fold. Quality is okay, but I expected a little bit more for the price - and hype. They definitely fit smaller than all of my other diapers, so we will see how long they will last. We are already on last rise and waist snaps at 19 months..